NOTE: By default, DonorWorks Mobile shows sample, fictitious data and will accept any PIN. Once you configure DonorWorks Mobile with a provisioning code, you will see data from your DonorWorks database and will be required to enter the PIN for your provision. DonorWorks Mobile offers five main features: viewing information on constituents in your DonorWorks database, tracking attendance, running barcode attendance, running check-in, and running check-out. Constituents allows you to mass e-mail constituents, display the name, relations, photos, birth date and place, school, marriage date and place, work location and death information of constituents in your DonorWorks database. Phone numbers and e-mail addresses are listed, and an interactive map to the primary street address is displayed. In addition, all attendance history for a constituent is available, along with gifts over the past year for a constituent. Finally, you have ability to add, view, edit and delete correspondences and notes on the fly. 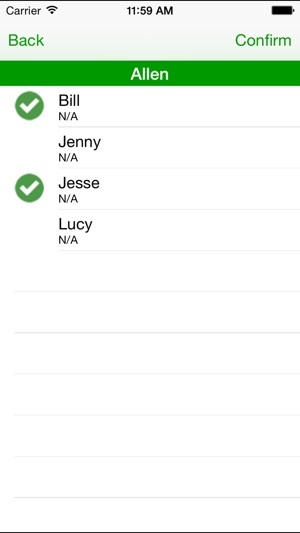 Attendance lets you take attendance for groups and events for any date. 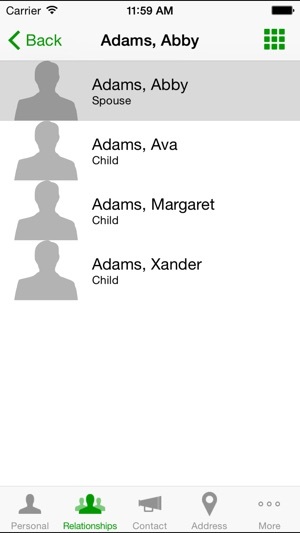 Tap a constituent to mark or un-mark their attendance, and your change is filed instantly in your database and will appear in standard DonorWorks windows and reports. Barcode Attendance lets you scan constituent barcodes using your device's camera to mark attendance, The app can operate in a hand-held or kiosk mode and is designed for rapid attendance entry. 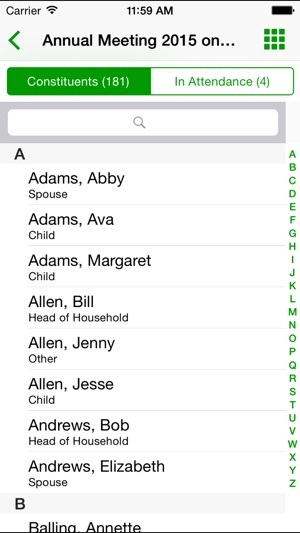 Check-In lets you search families and check them into their respective groups all at once. Check-In complements staffed and self check-in in the desktop version of DonorWorks. When paired with a desktop software running the name badge print server, DonorWorks Mobile will send badge print job requests to the desktop version for printing. 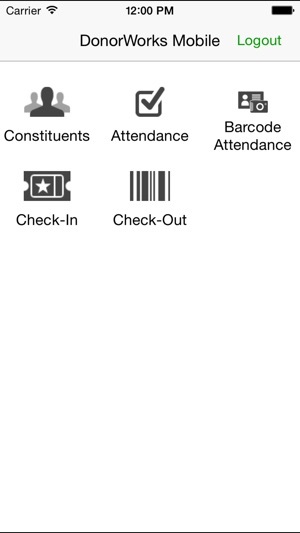 Check-Out lets you scan barcodes, or enter check-in codes manually, to check-out constituents from their respective events or groups. In DonorWorks, access User Management to create a provision for each device you’d like to connect to your database. You can control exactly what functions are allowed on the device. For example, create a provision that only allows attendance entry or one that only shows constituent information. 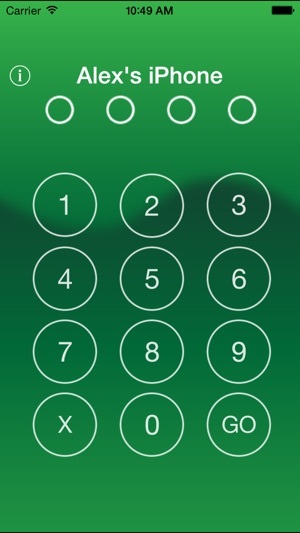 DonorWorks Mobile requires that a PIN be entered before data can be accessed. This PIN is unique to each provision, and each provision is locked to a specific device once it is accessed on that device. You can remotely grant or revoke access to features through DonorWorks even after a device is set up. And if you need to disable a device at any time, DonorWorks provides a master switch to do just that. DonorWorks Mobile can be used with any DonorWorks database running DonorWorks 9.2.14 or later and hosted through our Data Hosting service. This release fixed a bug when sending SMS. © 2014 Suran Systems, Inc.